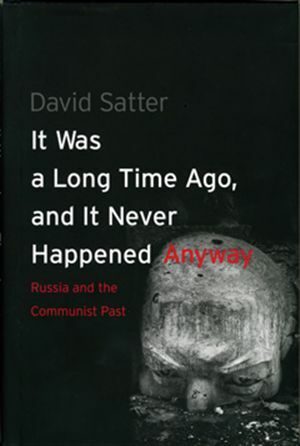 Prof. Marek Chodakiewicz’s review of David Satter’s latest book –It Was a Long Time Ago, and It Never Happened Anyway: Russia and the Communist Past (New Haven and London: Yale University Press, 2012) – originally published on the website of the Selous Foundation for Public Policy Research, has been republished in English on pages 28-29 of issue no. 69 (November 2012) of the Albanian-language cultural journal Kuq e Zi: Reviste Kulturore Euro-Shqiptare. A short synthesis of the review was posted on the IWP website. This entry was posted in Book Reviews, News, Russia on November 29, 2012 by IWP.